Lod is working to preserve its cultural heritage through programs which bring the community together and share Lod’s historic significance with the public. 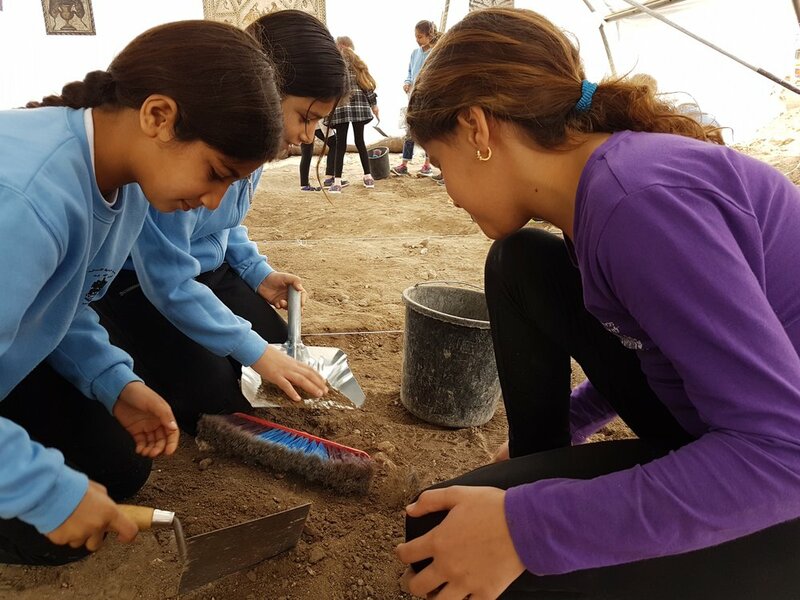 The Lod Education Project allows hundreds of local children from both Arab and Jewish schools to learn together about the history of their city and excavate within ancient Lod alongside the Israel Antiquity Authority (IAA). The project shows elementary students that they have something in common, and fosters a sense of belonging and community pride. This year (2018-2019) 6 separate schools are participating in the program, three Jewish and three Arab. 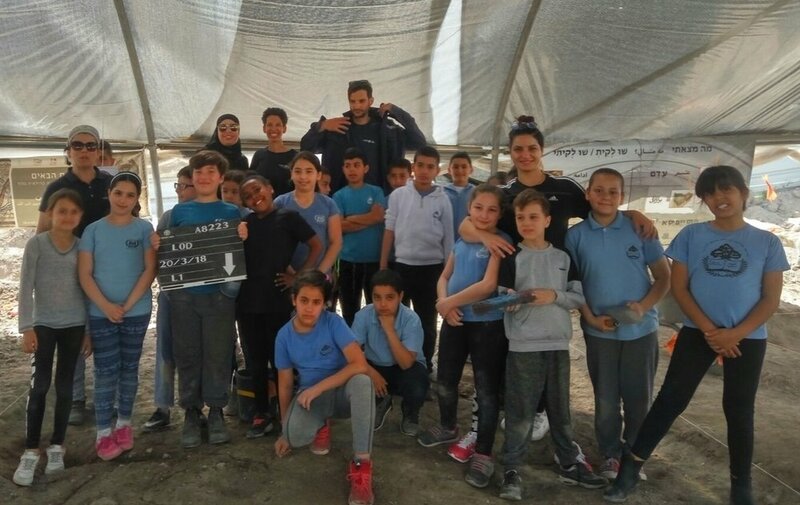 The program partners each Arab school with a Jewish school (and vice versa) so that the children can make friends with and learn alongside their Jewish and Arab neighbors. Cumulatively, there are about 400 students participating in the program, all in the 4th grade. 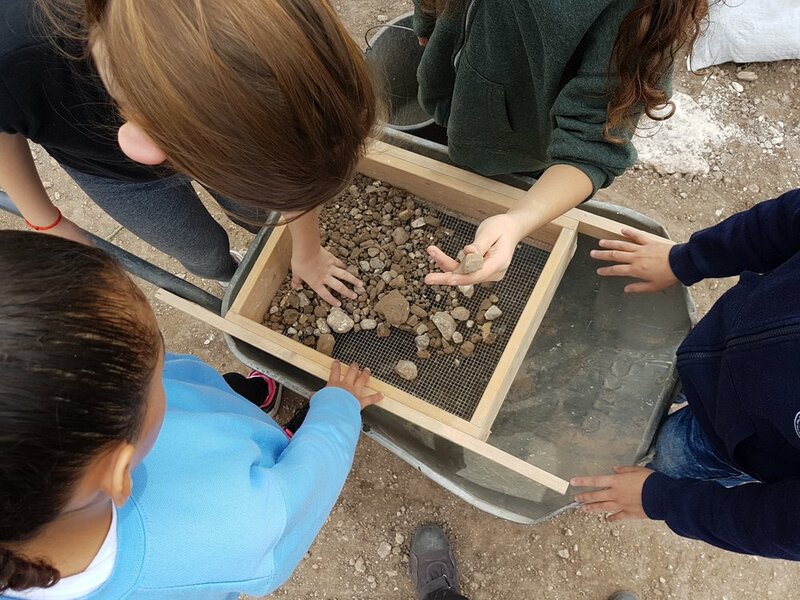 Each morning during the school year the children learn about Lod’s history, it’s significance throughout ancient times, and the important archaeological discoveries that have been made there. The classes are taught by staff from the Israel Antiquities Authority and “A New Way” and incorporate presentations, games and hands-on workshops. 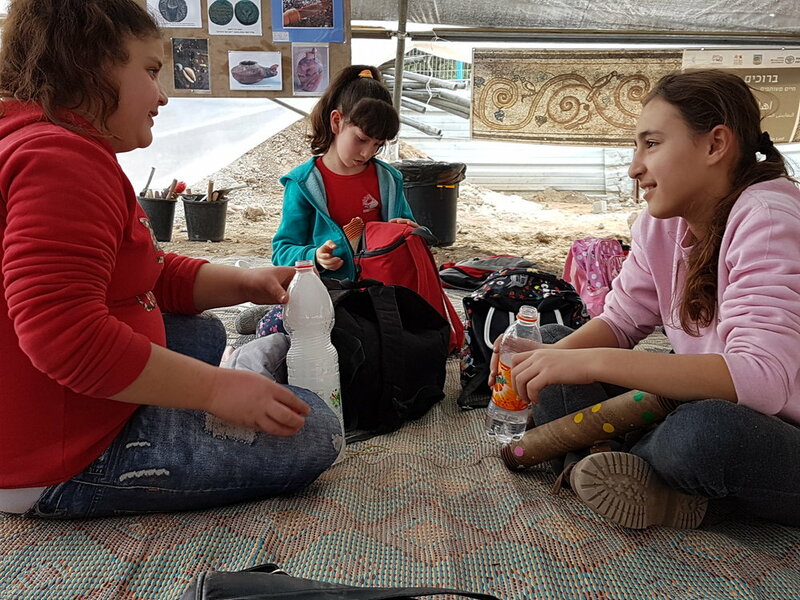 Esther York, the education project manager, says that the main goal of the class content is “that each pupil will appreciate and care about living in Lod.” The children also get to spend 5 hours working with the IAA on an active excavation in the ancient city. 2019 is the third year students have helped excavate the area around Lod’s magnificent Byzantine mosaic. Lod has been occupied continually for 8,000 years and represents ages of archaeological data. Unfortunately, Lod’s historic significance is sometimes overlooked. This is due in part to the destruction Lod suffered during the Arab-Israeli war in 1948. Today, Lod’s population is a diverse one, including both Arabs and Jews, immigrants and natives, wealthy and economically-challenged. The multifaceted nature of the Lod Education Project simultaneously supports archaeology and research in Lod, while bringing the community together by teaching them what they have in common. Archaeology’s potential to bring peoples together is evident here, as the students work side-by-side to uncover their hometown. The Lod Education Program is a joint operation between the Lod Municipality, the Israel Antiquities Authority and A New Way, with funding from The Morning Star Foundation. Lod was first settled in the Neolithic period (ca. 6,000 BCE) and was one of only a few settlements in the Land of Israel at that time. In spite of numerous battles and the ravages of time, Lod was continuously occupied for 8,000 years, right up to the present day. Its strategic location along the major highway connecting Egypt with the North explains why it has been occupied and utilized for so many millennia. During the Bronze and Iron Ages Lod’s population reached some 2,000 peoples. In the following Persian and Hellenistic periods, (586 BCE - 37 CE) Lod became a center for Judaism, prompting the Seleucid rulers to make it the capital city of the Judean district. Luxurious villas with their stunning mosaics floors were built in the Roman and Byzantine Periods (37 - 640 CE), again because of Lod’s central location and along the trade routes. As power shifted to the hands of the Muslims in the Early Islamic, Mamluk and Ottoman periods, Lod became a center for olive oil production. Much of the Islamic architecture is still visible today, including the impressive Jindus bridge. Even during the British Mandate, authorities recognized Lod’s strategic position and built the central train station connecting Cairo and Damascus at Lod. The Mandate’s train station was located not far from where Israel’s Ben Gurion International Airport stands today.